I know as a parent, this can be really hard to do, but setting a healthy example for your family is really important. I try (and fail at times) to do this, but the key part is trying and staying with it! Children are like sponges and really do take in so much of how you act and your attitudes to health, fitness and lifestyle. This can even impact their outlook on career and life motivations and I know my own children show signs of an interest in business and how Jane Plan works. My daughter is a real dab hand at food styling and photography and has taken some pictures that have been used in the press and for our marketing materials, it’s so nice to see these sparks of interest in things take hold! This brings me on to how my blog this week is about some handy tips for family health, fitness and lifestyle. I have lots of Jane Plan clients who have been inspired by family members and make real changes – yes, that’s right, your influence on each other is really powerful so use it! We have husbands and wives who have lost weight together and friends have been inspired – joined and seen amazing results too! One of our clients recently inspired his mother to take up swimming after his success on the Plan and his renewed love of fitness. 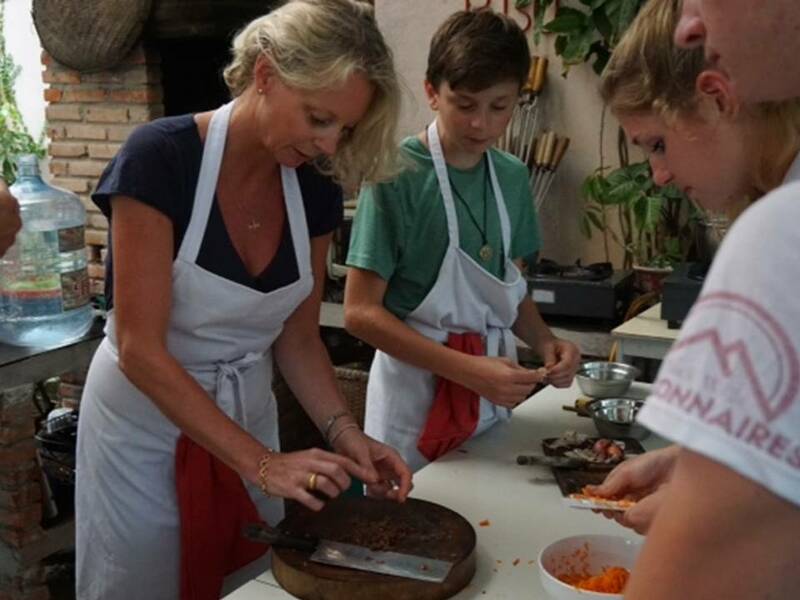 I hope you enjoy this post and let me know how you keep fit and healthy with your family and what you’ve been up to this week! I love to unwind with a movie or series with my family in the evening but I find that it can be a dangerous habit to fall into and hours can literally fly by! That’s why I try to get to a fitness class with my daughter and get active. It’s a lovely way to catch-up and it’s great for de-stressing. It’s all about finding what classes or activities you enjoy – Pilates, zumba, yoga or aerobics will all get your heart-rate going are really fun. Thirty minutes of breaststroke will burn 367 calories too so a few gentle lengths in the pool can give fabulous results for your overall fitness and weight loss! I love living in London and one of the advantages is the number of amazing shows and events that happen every week across the city. I’m really busy week to week, but I do try and take advantage of events with my family when I can. This summer some highlights have been the Alexander McQueen exhibition at the V&A and the girls in the office got to some great theatre shows and raved about them. I urge you to have a look at what’s on in your own city and town. You will always come away having learned something new or feeling inspired! Obviously food is very important to me and it’s at the centre of my work and home life. I love cooking with my family. Life is pretty crazy and hectic at times so when my kids are home for school holidays or at weekends I love nothing more than a family meal and trying new recipes. I do love healthy eating but I must admit a glass of wine and dessert every now and then is divine!! We all have our vices and that’s okay, just get back on the straight and narrow as soon as you can. That’s the approach I take. All that’s left to say is have a fabulous weekend and for any rugby fans out there – enjoy the rest of the rugby matches this weekend! Yes, that’s right autumn has well and truly arrived! Have you noticed it getting a little darker in the evenings as you leave work and that slight cool in the air in the mornings? I know I have. I always love the change of the seasons, as it’s a time to stop and take stock. It’s also a chance to start new habits – September is perfect for this. Diet, fitness or health, it’s a time to refocus and start again. It’s usually a month of ups and downs with holiday lows and getting back in the swing of things, but it’s also a really beautiful time of year. I know we are often we are visited by a late Indian summer in September and it really makes the transition so much easier and parks are full of burnt orange leaves and people making the most of the weather. We also get to keep our scarves and boots stored away for a bit longer for the next few weeks! When it comes to my diet, I like to do things a bit differently in late summer, early summer. I find myself starting to eat more warming soups or making lovely tossed root vegetable based salads. I also like to change-up my flavours and herbs and spices in main meals. Just because sunny, balmy nights are behind us, don’t despair, you can still eat healthily and stay on track with your weight loss goals and eat yummy food too! Yes that’s right, I must read back on this post when it’s cold and dark in mid-November because that’s when we battle real diet and health temptations…box sets, curling up on the couch and pressing snooze so you don’t have to put a toe out onto a cold floor!!! (just me??) Yes people, let’s live life mindfully and take note of the turning leaves, crisper evenings and new foodie ideas! That leads me some articles in the press that I’ve seen on how we can protect our immune systems, digestion and general health with the foods we eat. These autumn foods below are some of my diet staples and they’re low in calories but will give your health a real boost. Let me know if you’ve any other great ideas to add to the list! Pears – offering six grams per medium-sized fruit, pears help you fill up on fibre. They are a great fruit for preventing a bloated belly and keeping your digestion regular. Dark green veggies are loaded with antioxidants and carotenoids, which act like brain protectors and prevent damage from free radicals. Next time you find yourself struggling to remember something at work or you are feeling like your performance needs a boost, make sure to stock up on the leafy greens. Salmon provides us with omega 3 fatty acids, iron, protein, vitamin B6 and B12 which increase the efficiency of brain functions, improve memory and keep it active during long working hours. According to the World Health Organisation, by including foods like salmon in your diet, you can boost brain power by as much as 20%. Pumpkin is a food that immediately springs to mind when we think of autumnal dishes. Each cup of pumpkin offers three grams fibre for less than 50 calories. I’ve a lovely recipe for pumpkin soup here – why not give it a try? I love herbs for the flavour and the nutrients and goodness that they add to dishes.Sage is one of those herbs that is a welcome addition to classic autumn recipes. Soothing sage has been linked to aid in digestion and calms the system so I say add some to your dinner this evening! Have a wonderful weekend full of cooking, relaxation, fun and spending time with family and friends! It was National Fitness Day on Wednesday the girls and I had our Fitbits at the ready and were watching our steps and of course competing with each other! It’s great that everyone is so engaged with activity and fitness since we got our Fitbits. Often working long hours means we are quite sedentary and spend a lot of time at computers, so I urge you all to work some activity into your day – even a brisk walk at lunchtime. I picked up on the energy vibe and was out with Paul my trainer this week. I have to say that I felt great after working out. I’ve also had lots of meetings in the city this week so I think that upping my exercise routine actually gave me that extra boost to keep going and feel good. What classes or exercise have you done this week? Taste and variation in Jane Plan meals is so important and that’s why I’m always looking to add new meals to the Jane Plan menu. I think that this is essential for clients who have been on the Plan for many months. One client just celebrated her one year anniversary on the Plan and Caroline, a fabulous lady who has lost 2 1/2 stone has been on Jane Plan for four years. She’s managed to maintain her weight since. We were comparing and contrasting delicious Byriani and mushroom stroganoff dishes. 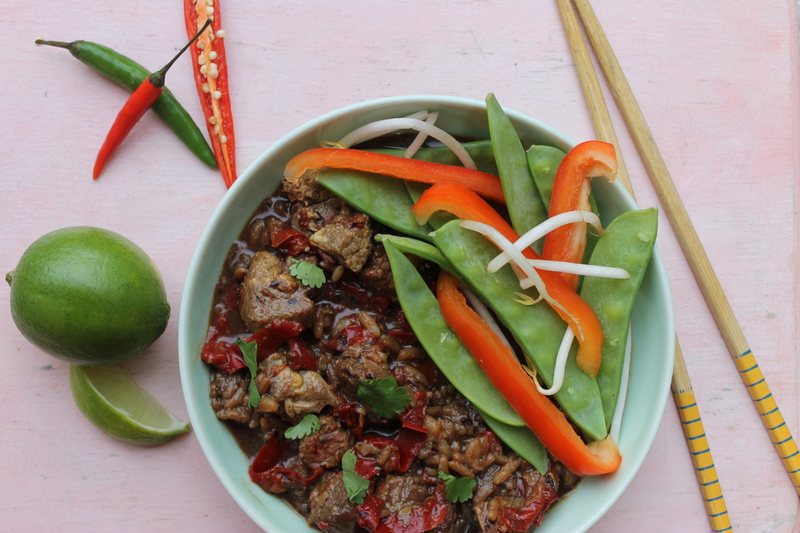 I love spicy food but I know that this is quite personal, so always want to know what everyone thinks of new meals. 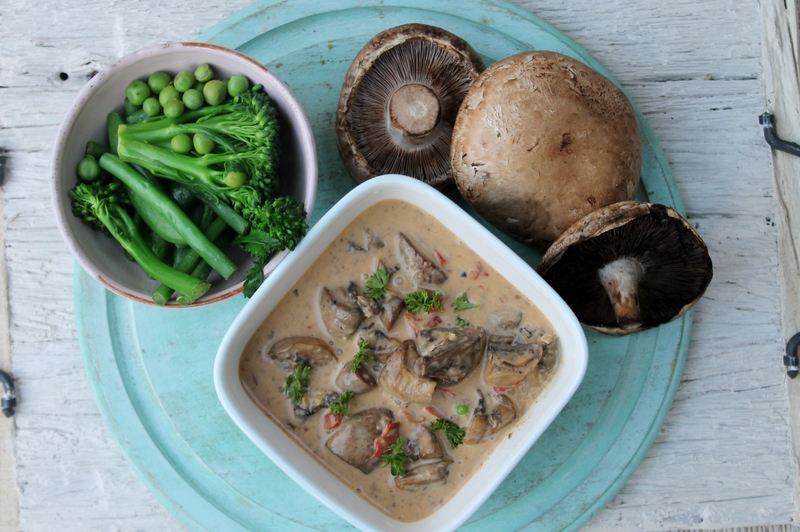 Hazel described the stroganoff as ‘happiness in a bowl’ so watch this space! 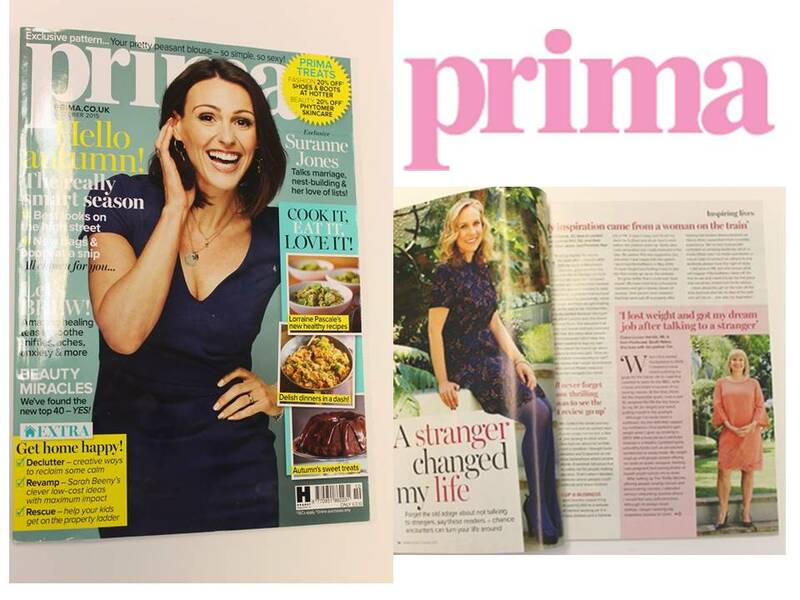 Some fabulous news, Jane Planner Claire-Louise Hardie is featured in the October edition of Prima Magazine in stores now! I met Claire- Louise at a networking event back in 2009 and it was a period that was very exciting for her with career opportunities and new ventures but weight gain was really affecting her confidence and self belief. We made a real connection and Claire joined the Plan and went from 11st 5lb to 8st 10lb – wow! It’s been a pleasure to see her career and confidence soar and she’s now a sewing consultant on the hit BBC show the Great British Sewing Bee. I’m so proud of her and how she stuck to her dreams! She’s a real star Jane Planner and make sure to pick up a copy to read her full interview. The beginning of September can be tough, whether it’s getting the kids back to school or the never-ending to-do list at work— I know I for one have been feeling a bit overwhelmed in the last few days. When I’m in that frame of mind, it’s my diet that usually takes a bit of a kicking! Instead of healthy salads and green tea, I’ve been reaching for crisps, chocolate or a lovely glass of wine in the evening to unwind! I have all of the knowledge and tools at my disposal to make wise eating habits but I think honesty is the best policy…I hold my hands up to my diet downfalls. We all have them. I don’t think that the gorgeous pizza restaurant that opened up five minutes from my house is helping my cause either!! On a more serious note, long term stress on the body isn’t good for our health. Our body can respond by increasing our blood pressure, our immune system slows down and we’re constantly on edge due to all the extra adrenalin in our blood. It’s produced by small glands located above our kidneys. A stressed body also burns through particular key nutrients faster than a calm body. This can leave us exposed to a range of health problems further down the line, including a higher risk of cancer and heart disease. One area that we do have control over is our diet and the great news is that certain foods can help to combat stress. Here are my top five to work into your diet this week. I had a delicious tuna steak for dinner last night and it was full of B vitamins and omega oils, so I’m getting back on track for this coming weekend. This creamy rich fruit has a satisfying texture and is quite filling. When our bodies are stressed, we can burn through vitamins so having a delicious avocado can replenish the loss. B vitamins are also essential for good nerve, immune system and metabolism function. High blood pressure is a worrying side of prolonged stress so the potassium found in avocado can help to reduce the risk if is eaten as part of a healthy diet. I love broccoli for its flavour, texture and versatility when cooking. This vegetable also packs a punch when it comes to B vitamins and folic acid. When we are stressed or anxious our nervous system is under pressure and on high alert when it shouldn’t be. Vitamins B1 and B3 can help limit the damage to the nervous system within the body. Add broccoli to salads or steam it as a lovely side to main meals. These tasty snacks are full of stress fighting vitamins and minerals. They also have a supply of healthy unsaturated fat. Treat yourself to small handfuls so you don’t tip your calories. Why are these nuts so great for combating stress? They’re full of B vitamins, vitamin E and magnesium, which is involved in the production of serotonin. This helps to regulate mood, relieve stress and improve sleep. It can be really hard to get a good night sleep when you are stressed. Next time you’re shopping visit the fish counter and stock up on tuna and lovely oily fish and white fish. Fish is full of vitamin B12 and this can make sure you are able to produce enough serotonin which can help combat depression and improve your sleep quality. When we feeling anxious or stressed our adrenal glands produce cortisol. This hormone floods our system and it lowers our immune system, making us break down muscle tissue to get energy. One way to combat this is to stock up on Vitamin C and oranges have high levels of this vitamin. Vitamin C can help return blood pressure to normal and lower cortisol levels. Best wishes for a wonderful stress-free week!